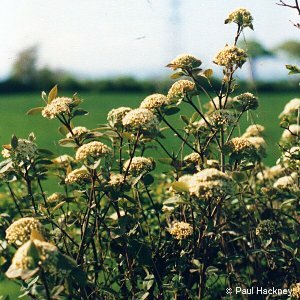 Wayfaring tree is a rare alien shrub species found in old hedgerows. The photograph shows an old plant established in a hedge near Dalway's Bawn, Co Antrim. All names: Viburnum lantana L.